Once again we are marching alongside socialist and working class feminists around the world to turn International Women’s Day into a massive global protest for women’s rights. Millions of women and men have taken to the streets in recent years to hit back at the sexist capitalist system and right-wing politicians like Donald Trump, whose policies attack the rights of women, LGBT people and workers. 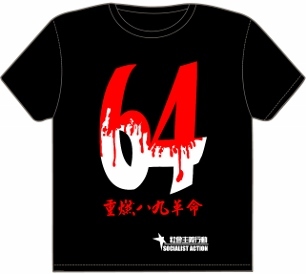 Hong Kong also has a huge need of mass feminist protests. 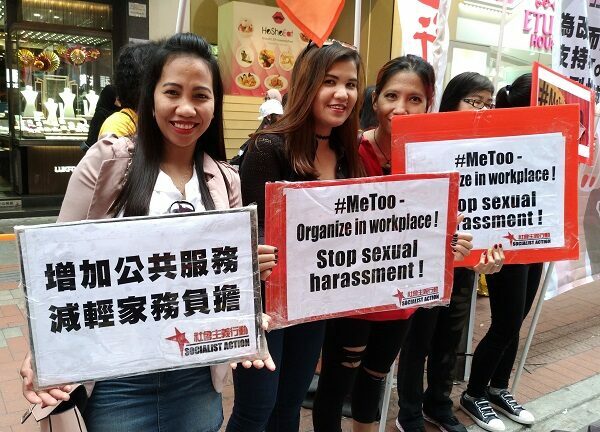 One in four Hong Kong students have been sexually harassed in school according to a 2019 survey by the Equal Opportunities Commission. But fewer than 3 percent filed a complaint. This shows the pressures on victims not to report out of fear they will be blamed or not believed. Hong Kong’s pay gap has widened with women on average earning 22 percent less than men, compared to a 19 percent gap ten years ago. By the age of 60 the gender pay gap is even worse: women workers only get half the salary of their male counterparts on average. All Hong Kong workers suffer from some of the world’s longest working hours and increasingly precarious work, but these problems hit women hardest. The government of Carrie Lam Cheng Yuet-ngor, which only serves the billionaire tycoons, refuses to invest more of its billion dollar reserves in public services. Hong Kong nurses are forced to go on street protests because the public hospital system is overcrowded and collapsing from underfunding. Lam flatly says no to a universal pension system. Like a figure from the French Revolution, she says Hong Kong’s army of 30,000 elderly women scavengers who collect used cardboard boxes to sell, “don’t have economic needs”. Lam alleges these women all have “financial assets” to fall back on! These wrongs won’t right themselves! To change things we need to organise and fight back. This is what millions are now doing worldwide in a new wave of working class feminist struggle. Hong Kong needs to get in on it. 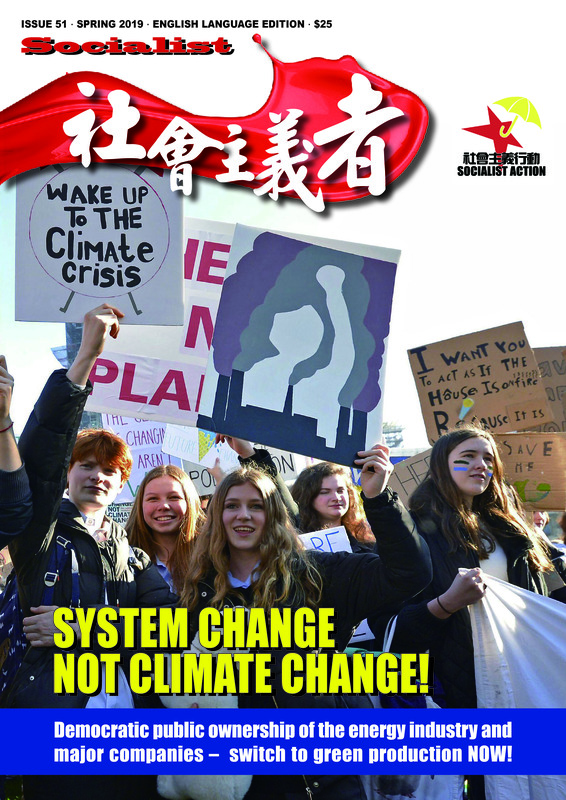 Socialist Action is part of the Committee for a Workers’ International (CWI), which coordinates struggles for workers and women’s right in dozens of countries. In Spain and Ireland the CWI has been a driving force in women’s struggles in the past year, especially in Ireland’s historic abortion victory. We fight for a socialist alternative to the parasitic capitalist system, which exploits workers for profit and also rests on male-dominated (patriarchal) structures to hold down women and limit their freedoms and rights. We want to build a new working class party for all those who want to end this oppression. A mass workers’ party could defeat the capitalist politicians (who all stand for the same right-wing policies) and form a socialist government committed to taking the big companies and banks into democratic public ownership, under the control of society and the working class majority. Socialist Action organises alongside migrant domestic workers, the most exploited women in Hong Kong. The city’s 380,000 migrant women work the longest hours, for very low pay, and are vulnerable to physical and sexual abuse because they are imprisoned by the government’s Victorian ‘live in’ rule. But by organising they are also a force for change. 4 million marched against Trump in the ‘Women’s Marches’ in 2017 – the biggest demonstrations ever in USA. In the Indian state of Kerala, 3 million women formed a “women’s wall” in January 2019, to protest discrimination against women and girls by religious and government institutions. A historic victory for women was achieved in Ireland in 2018, when 66.4 percent voted to repeal strict anti-abortion laws – a big blow to the traditional stranglehold of the Catholic Church over politics and the government. Workers at Google and McDonald’s organised #MeToo strikes and walkouts in the USA and some European countries against sexual harassment at work and for equal pay for women.